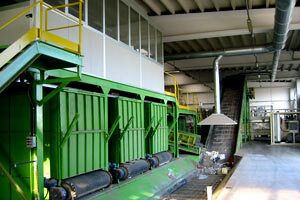 Since 1979, Vidori Servizi Ambientali SpA, with headquarters in Vidor (TV) on Via C. Tittoni 14, has been operating in the environmental protection sector specializing in industrial waste management. Efficiently and professionally, it organizes the collection, transportation and subsequent disposal and/or recovery of the waste. Our company, registration nr. VE00661 on the National Register of Environmental Managers list as of 27.10.2011, is authorized to carry out its activities with Integrated Environmental Authorization nr. 46 dated 28.07.2010, as further amended and extended, issued by the Veneto Region. The quality and reliability of the services offered by Vidori Servizi Ambientali SpA can truly be recognized in its 30 years of experience and by the various certifications obtained over the years. This shows our commitment and perseverance towards environmental protection, an aspect that has always distinguished our company in its operations. As a matter of fact we have had ISO 14001 certification since 2005, we have been registered with EMAS in conformity with CE Regulation CE 1221/2009 since 2007 and have had BS OHSAS:18001 certification since January 2012 and has adopted an Organizational, Operational and Control Model pursuant to Italian Legislative Decree 231/2001 since July 2012.